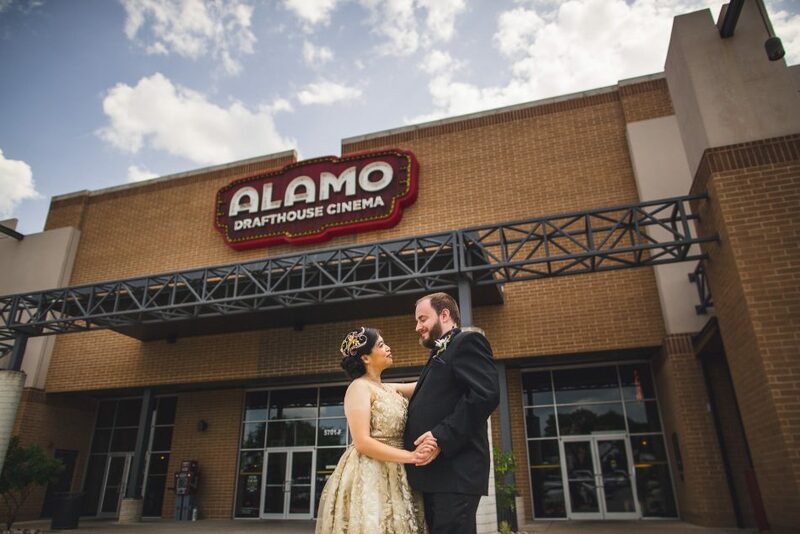 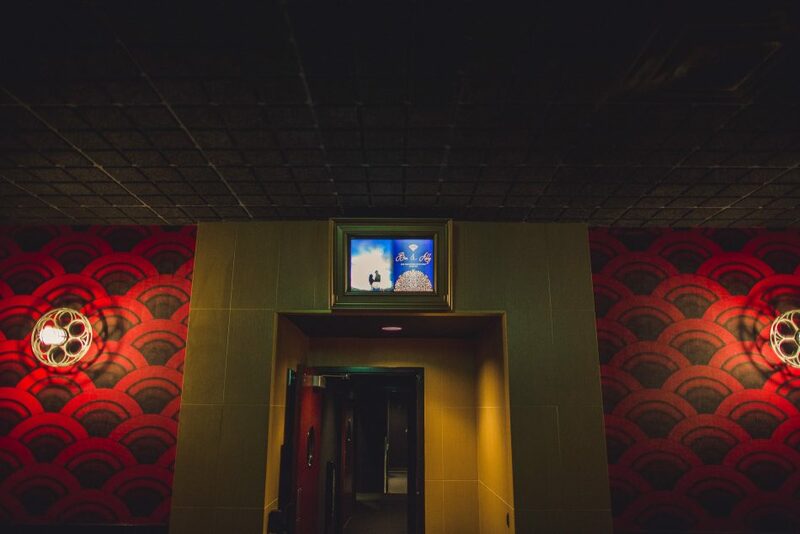 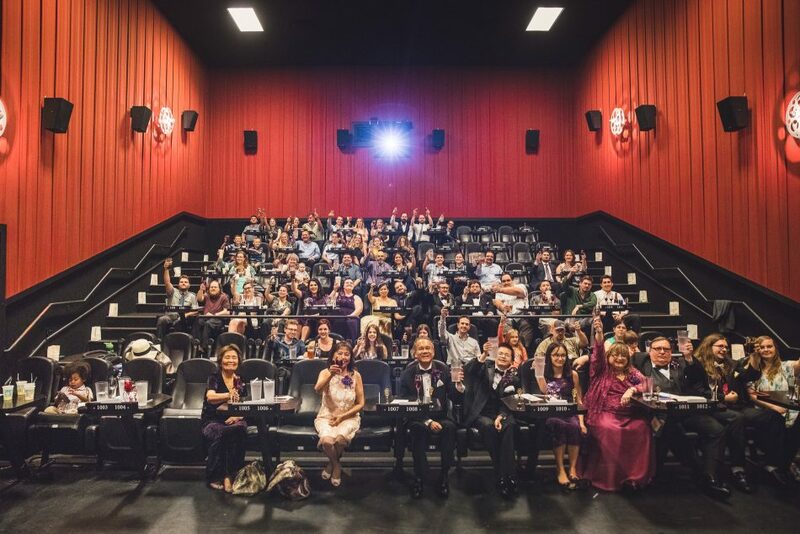 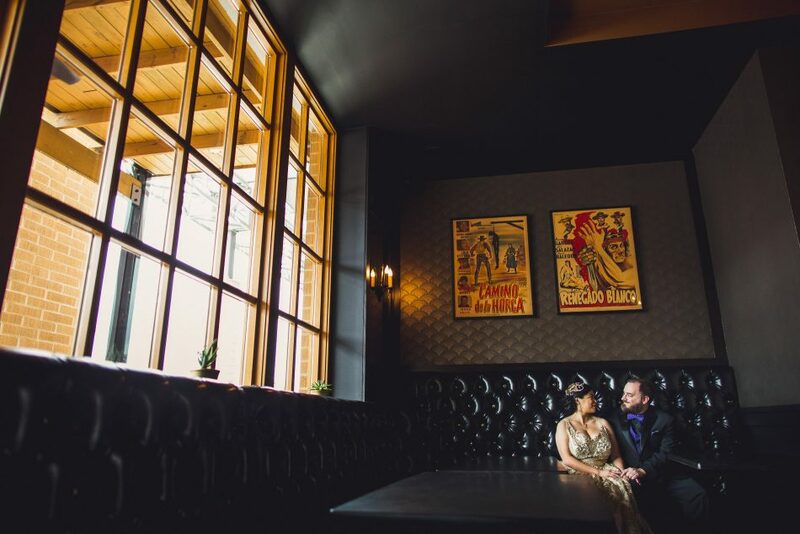 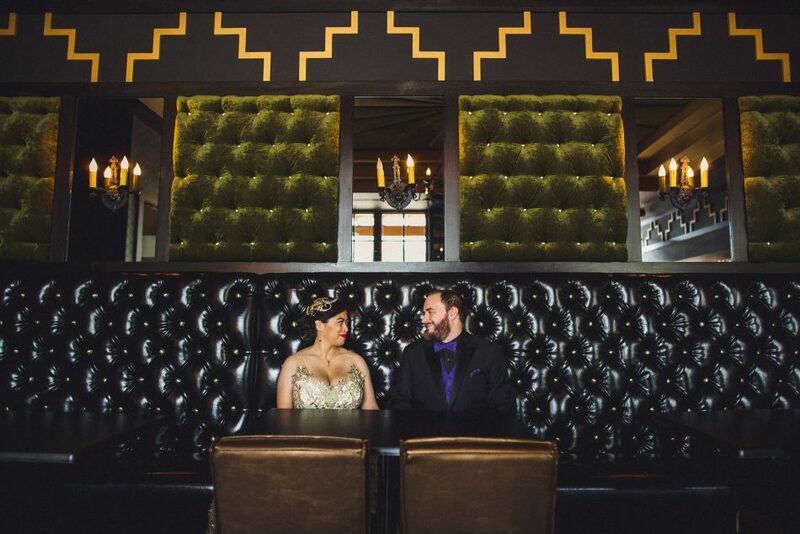 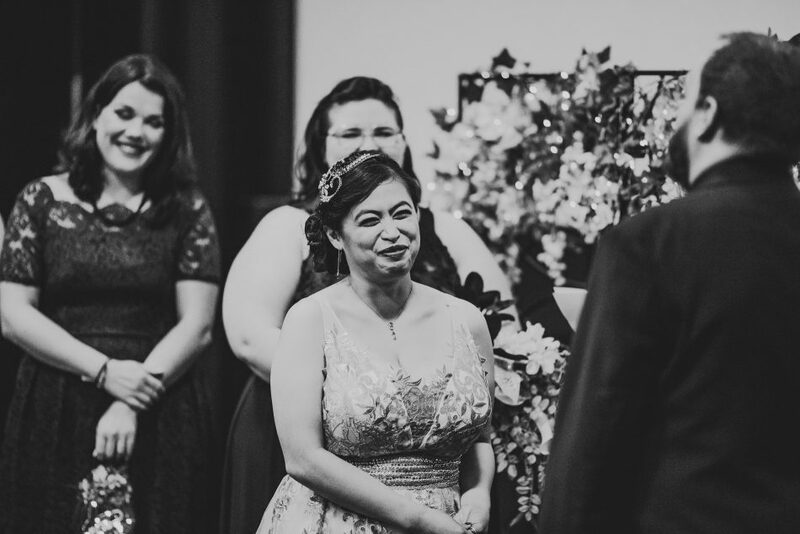 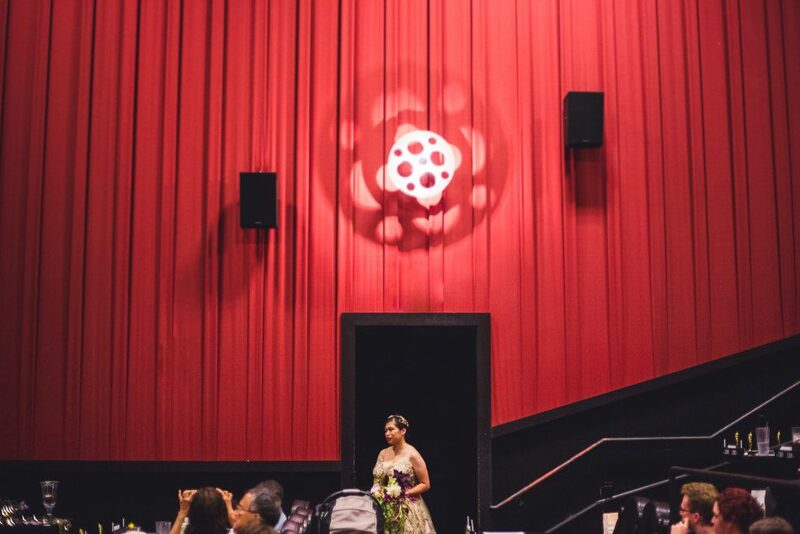 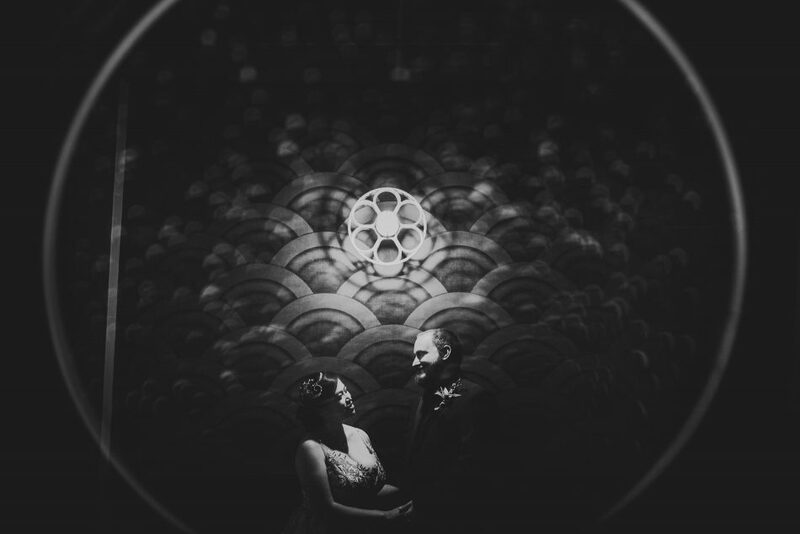 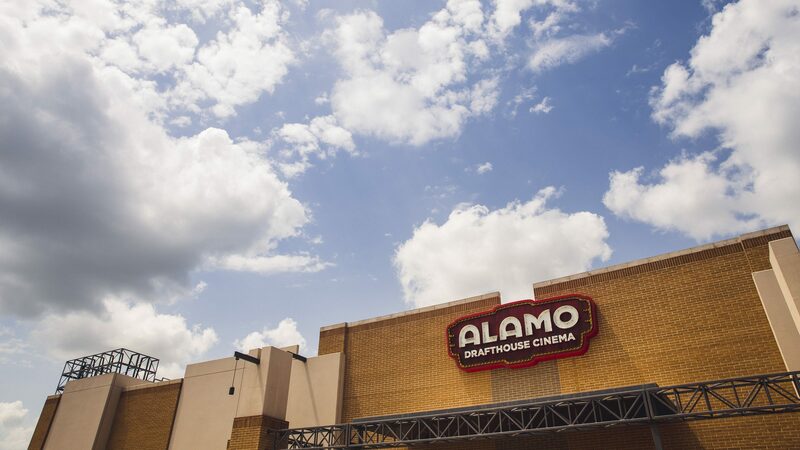 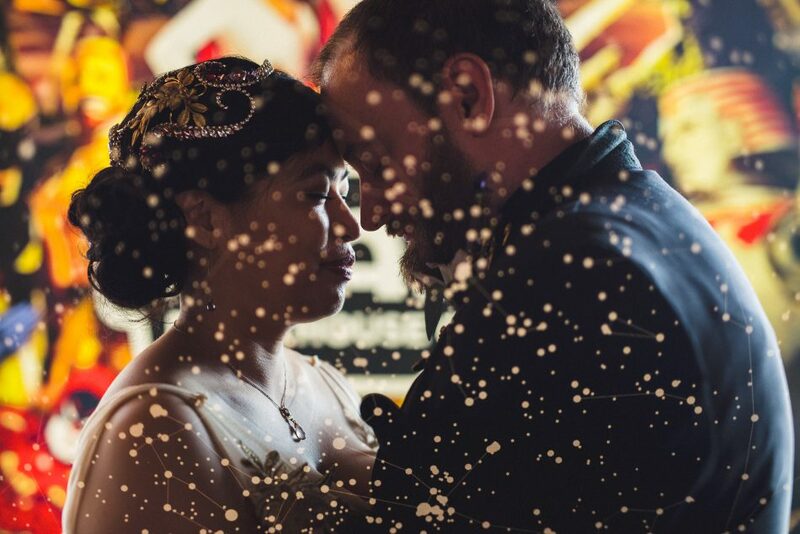 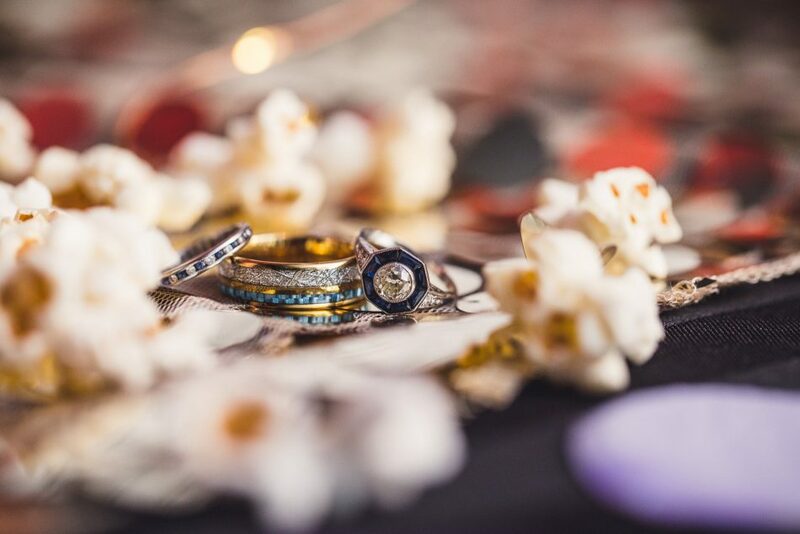 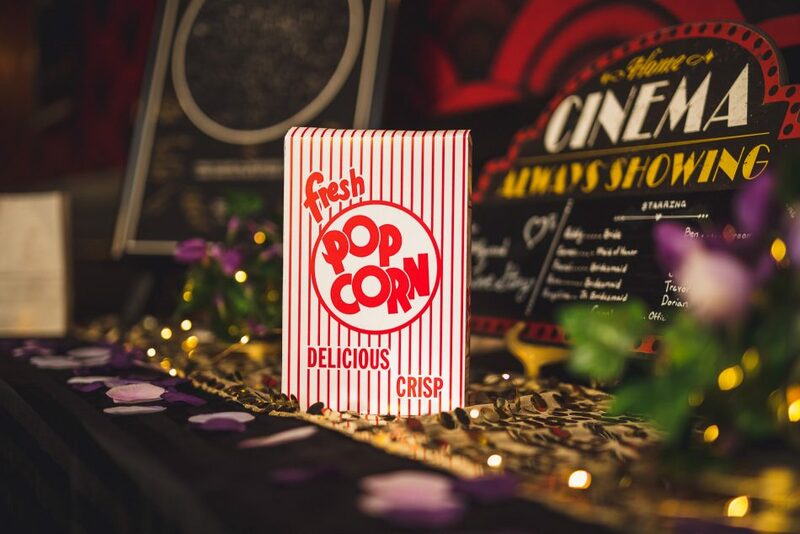 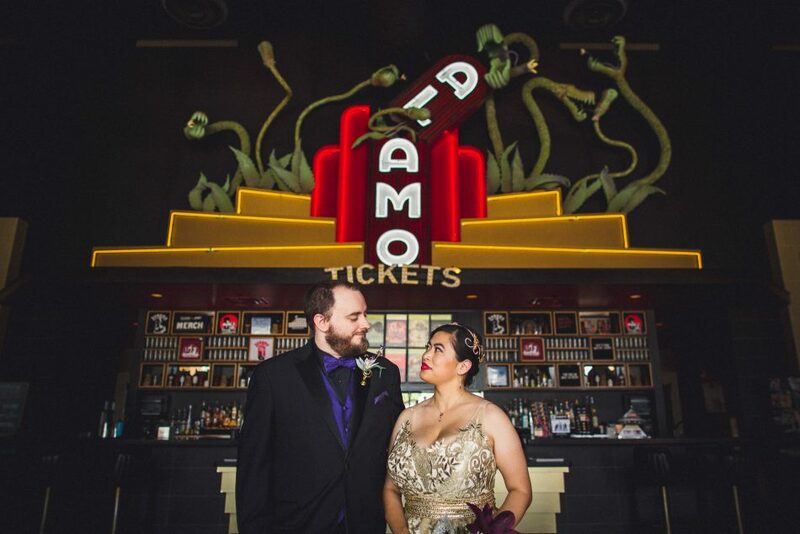 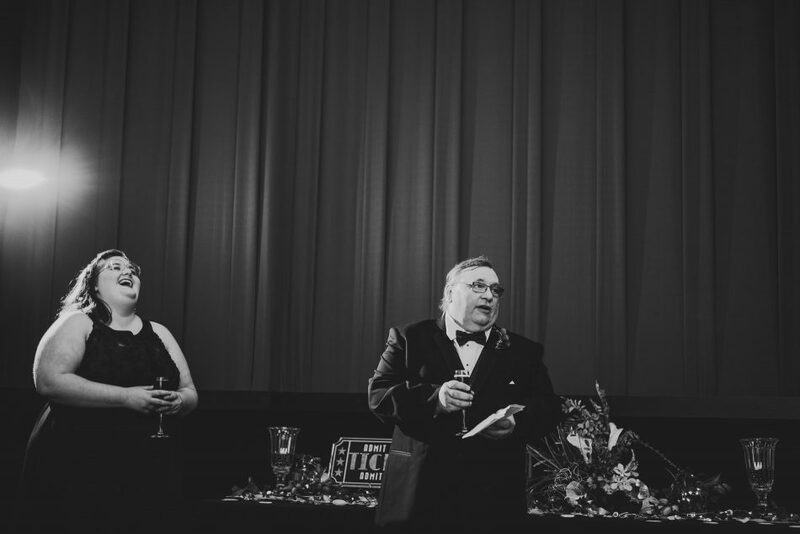 Addy and Ben’s cinema themed Alamo Drafthouse wedding was so fun! 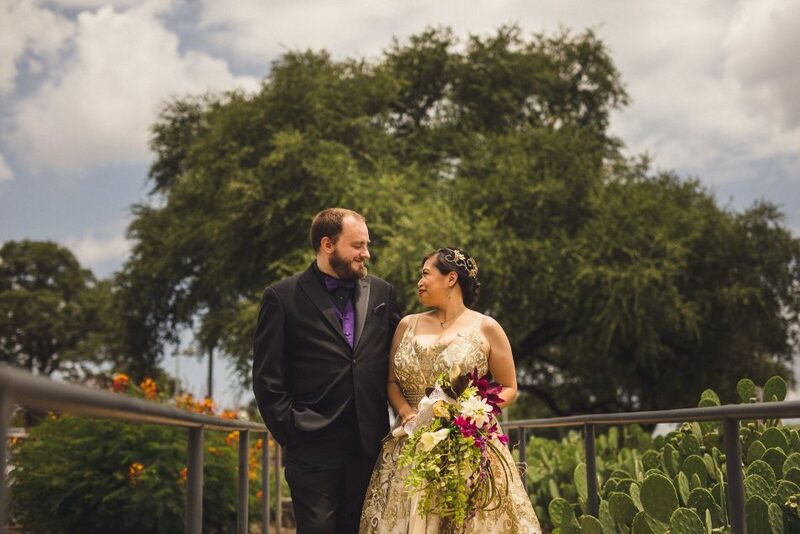 Addy wore a beautiful gold dress and hairpiece, while Ben wore a purple vest and boutonniere. 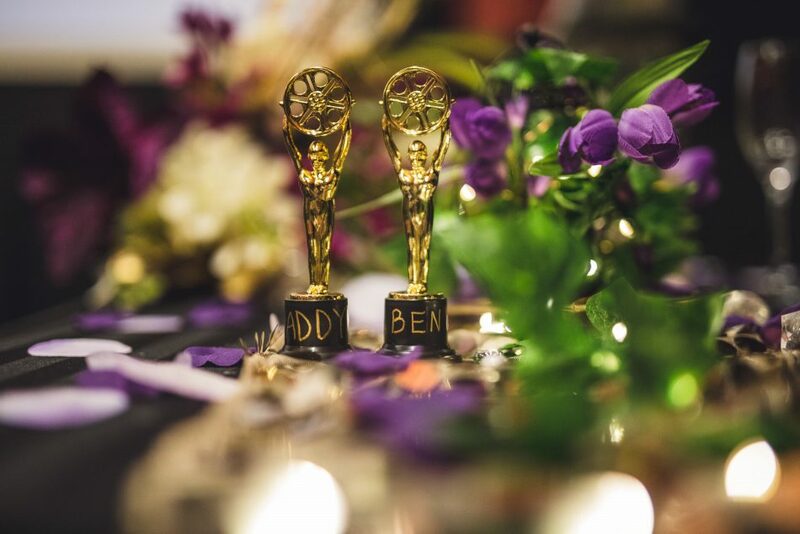 They used Mini Oscar trophies as place cards, and had customized Hollywood walk of fame stars on the floor during the ceremony. 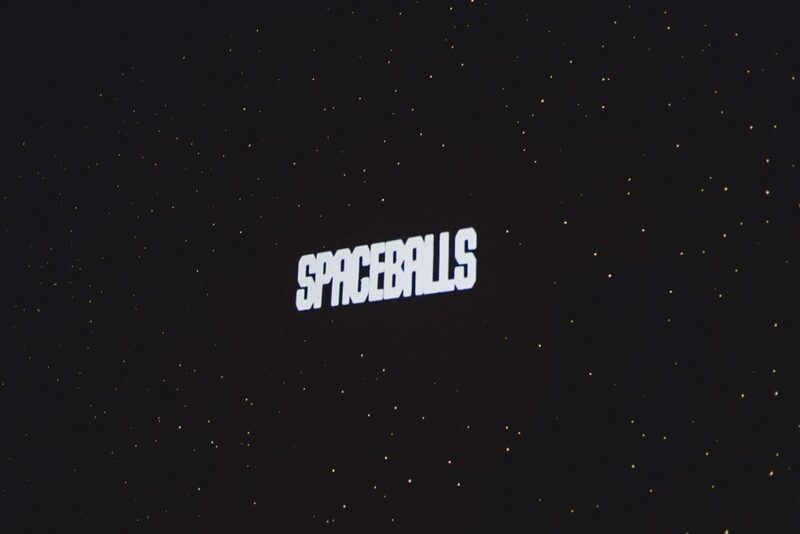 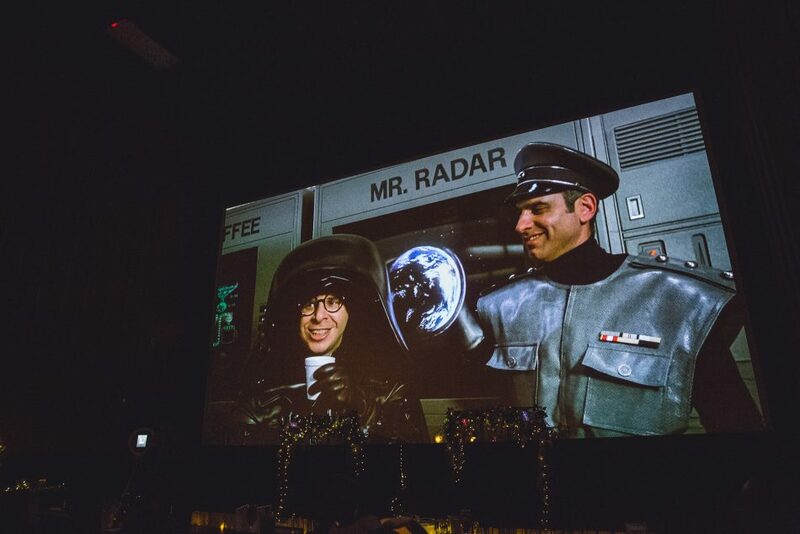 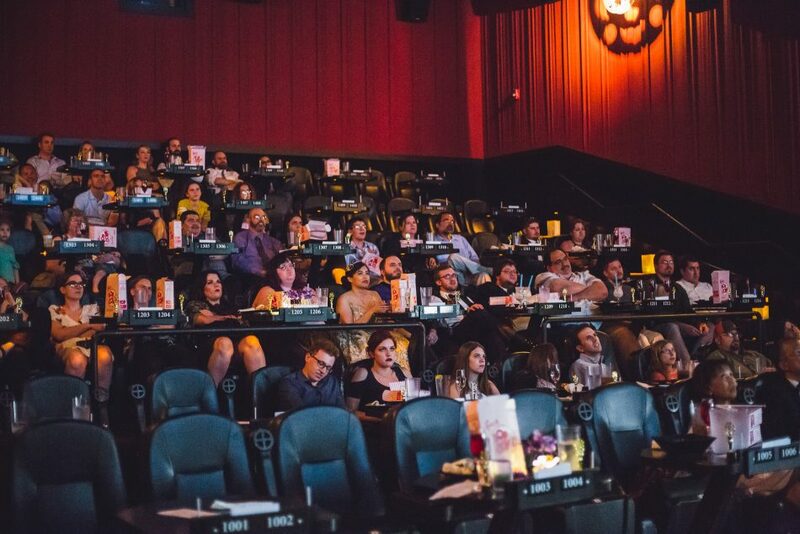 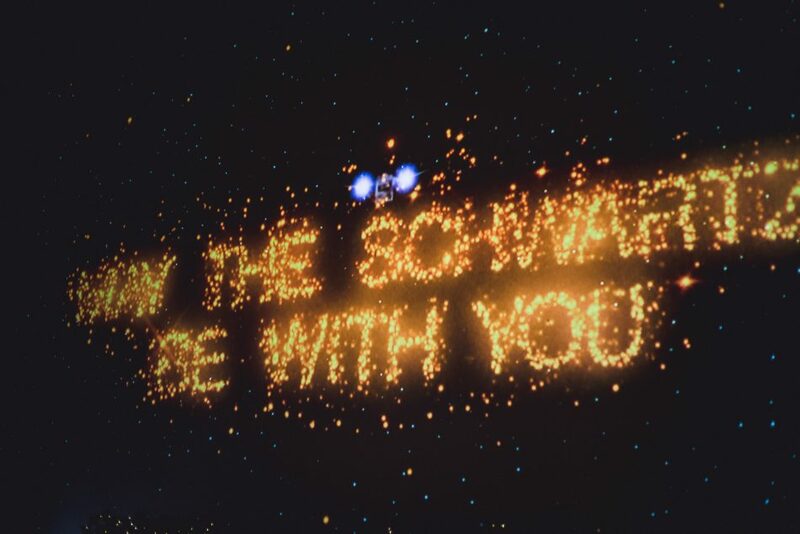 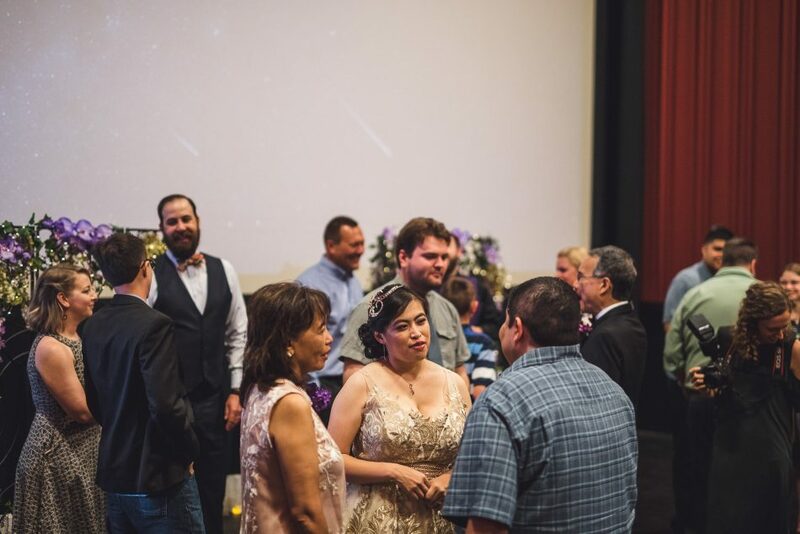 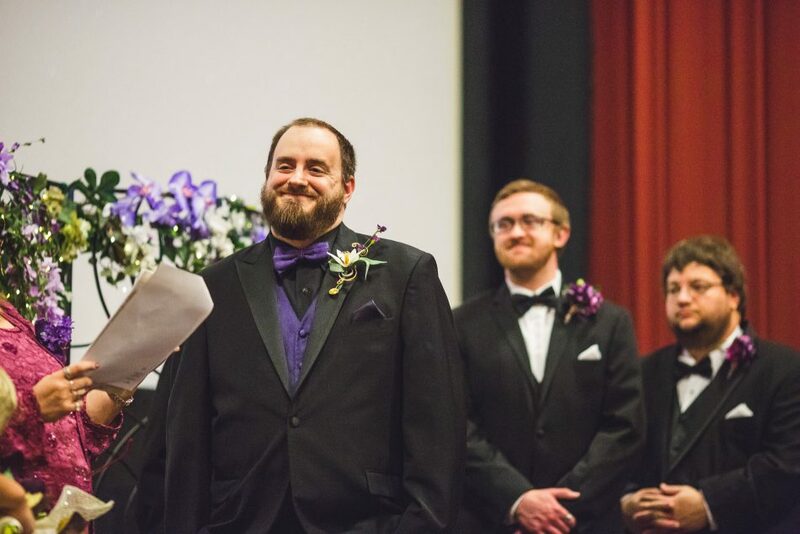 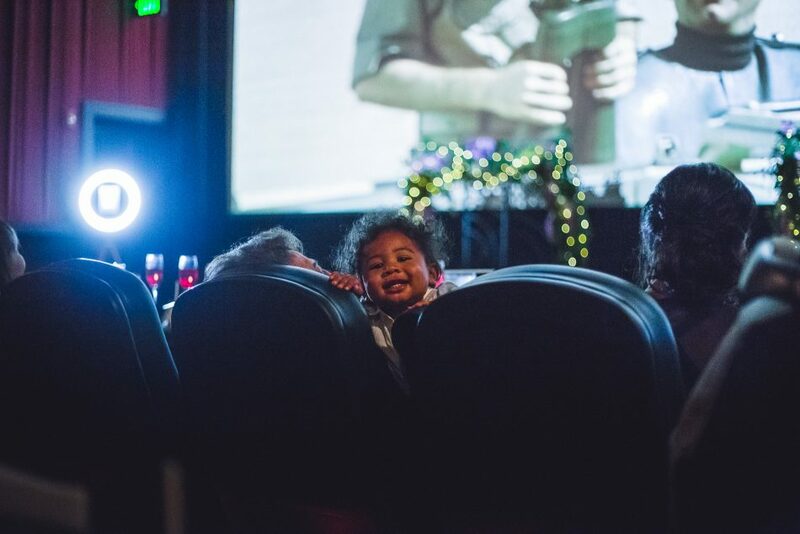 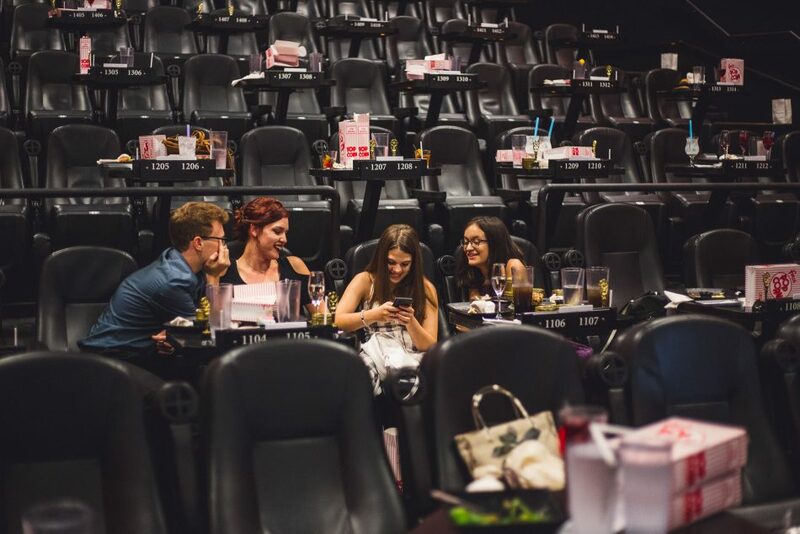 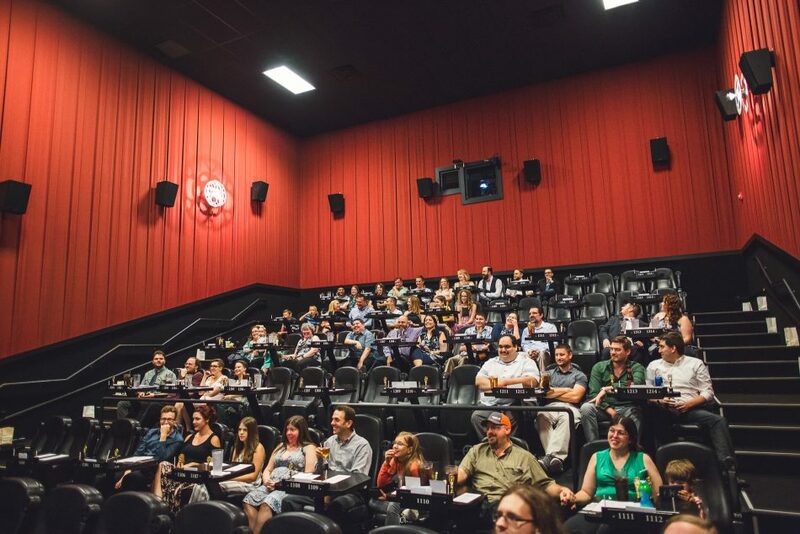 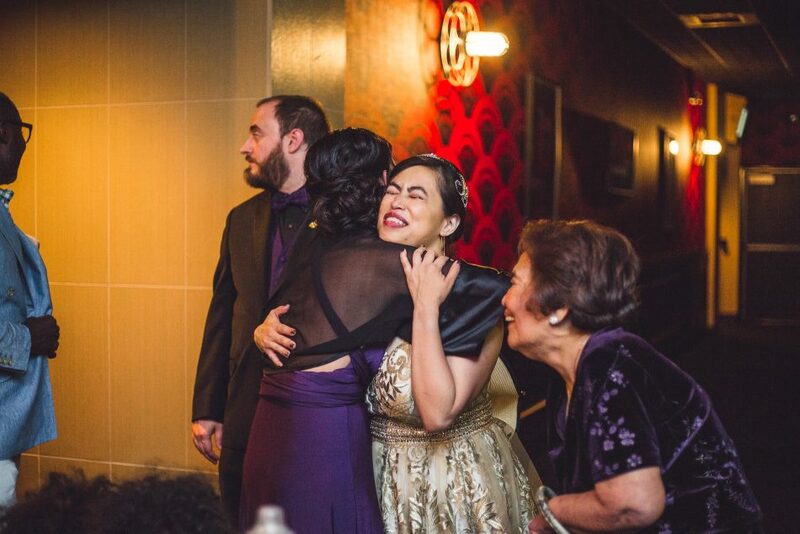 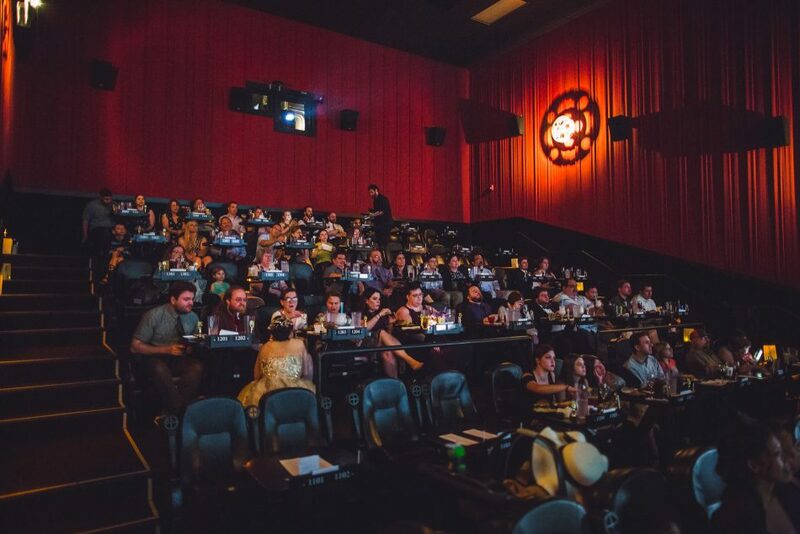 After the ceremony, guests watched Space Balls while they enjoyed their tasty meals from the Alamo Drafthouse menu. 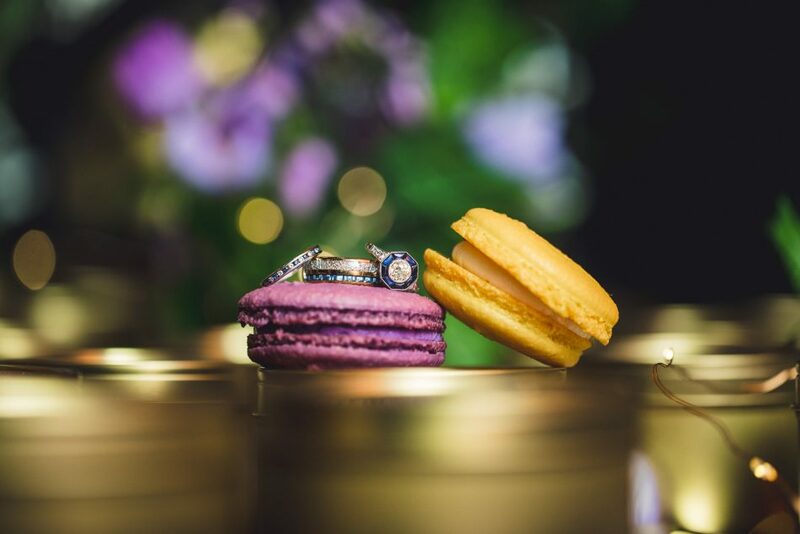 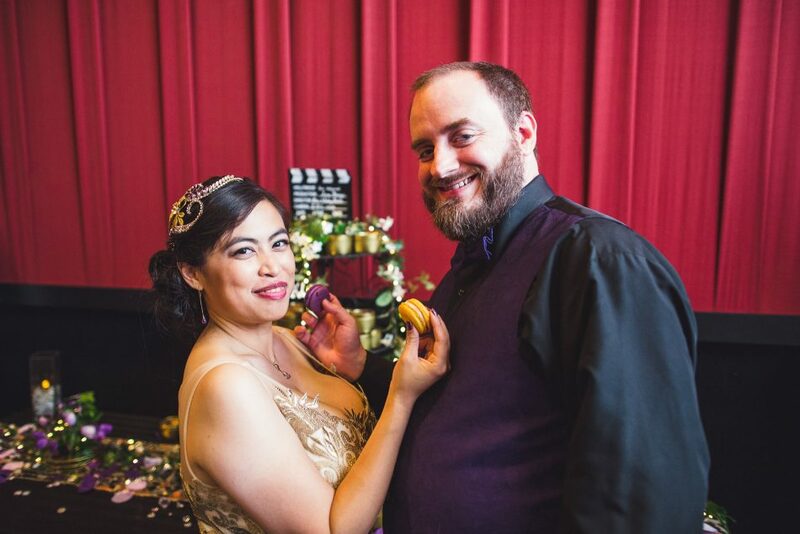 Instead of a cake cutting, Addie and Ben shared lavender and champagne flavored macarons from La Pâtisserie! 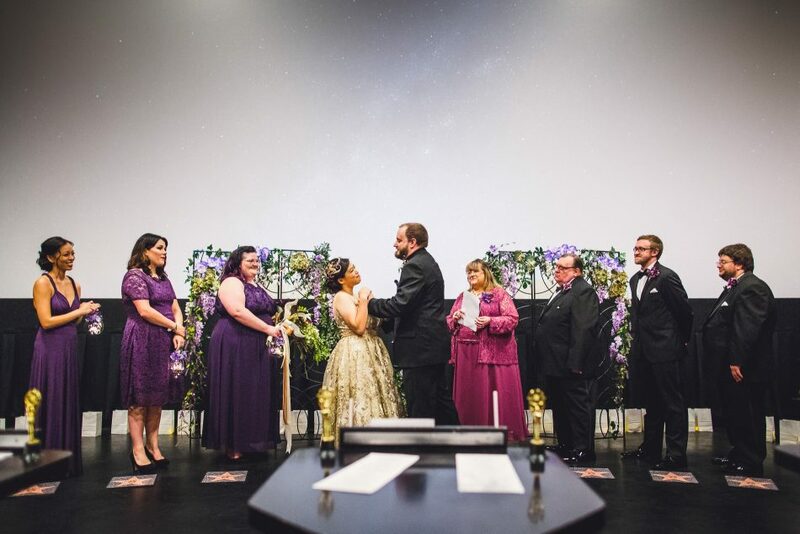 They also rented our Magic GIF booth for some additional reception fun! 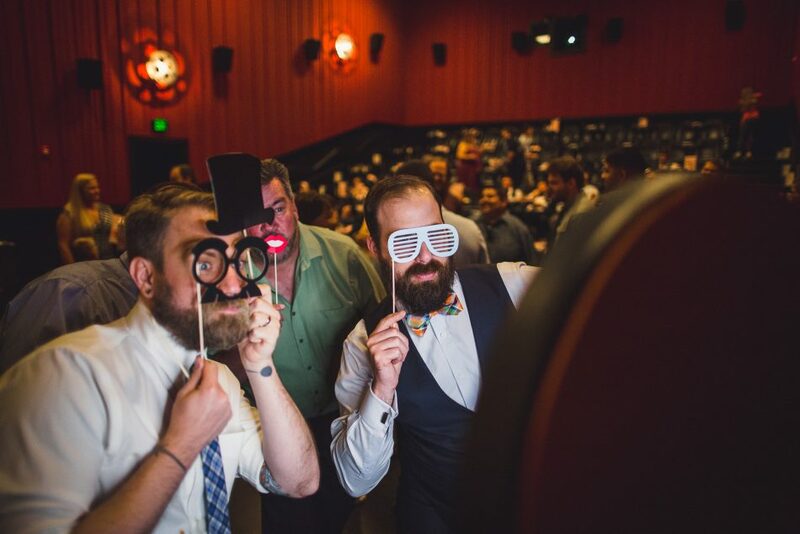 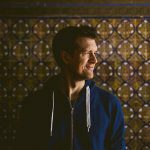 We love photographing quirky out of the box weddings, and are so thankful that Addy and Ben hired us to capture their day!